Crooner and blue-eyed soul singer Robin Thicke is back with new music for our ears. Before he transition to singer, he had written songs for artist such as Brandy, Mary J. Blige, Usher, Jennifer Hudson, and many more. We were formally introduced to him as “Thicke”, in 2002 with his Sprite commercial and song “When I Get You Alone.” Although the song was featured as part of the Sprite campaign, it only gained minor success. Leaving Thicke without the much-needed impact for him to become a household name. Fast-forward, many years later and now placing his sixth album under his belt, Robin has proved that he’s a force in this R&B industry. Robin has been heating up the music charts and summer with his smash hit “Blurred Lines” that was produced and features Pharrell Williams along with rapper T.I. ‘s vocals on the track. The single has gained massive success from its initial release and became Thicke’s first Billboard No. 1 song. The track has been dubbed as “the song of the summer” so it was only fitting for it to serve as the albums title as well. Followed by “Aint No Hat 4 That” that has the heavy influenced sound of Stevie Wonder. Before spawning off into the empowerment anthem “Get In My Way” that has a funk sound as if it was borrowed from Rick James. The album features three guest (something else we don’t see often) appearances, but you’d hardly notice. New artist Kendrick Lamar assisted him on a track titled “Give It 2 U” which sounds like a song that went missing from a Justin Timberlake & Timbaland studio session. It’s overly explicit lyrics seems as if it were targeted towards a less mature audience, but display the grown sexual side of Thicke. Other standout tunes include “Feel Good” & “For the Rest of My Life.” However, the slow groove of “For the Rest of My Life” sounds like it could be an ode for wife Paula Patton. As he continues to sing the story about the two meeting for the first time as teenagers, and reveals how he once stole his father’s car for a late night tryst. Later he kicks the new age rap-sing flow on the track “Top of the World” which tells the story of a girl’s humble beginnings and her climb to success, but her failures on her quest for love. Right before ending the album with the feel good, homecoming song “The Good Life.” The song reminisces of Elivis’ “If I Could Dream” but has the heartfelt feeling of the popular country song “Home” which has been covered by Blake Shelton and Michael Bulbe’. 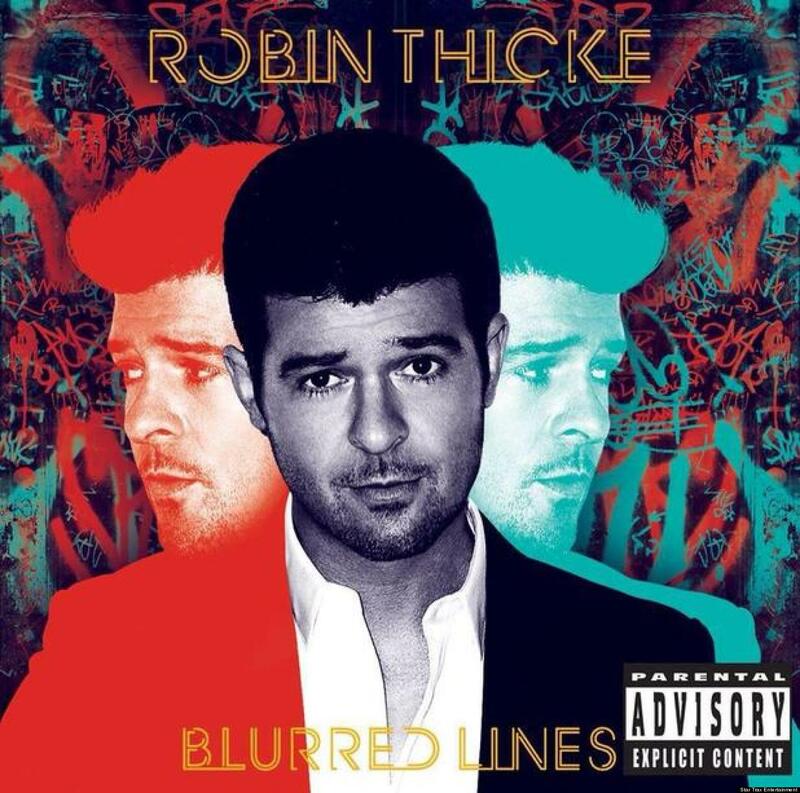 “Blurred Lines” reflects the elements of a true R&B album from start to finish. Although majority of the albums material is up-tempo, it still serves as a solid R&B album. Which is more than what we’re getting from African American R&B artist nowadays. Thicke has transitioned well from songwriter to singer, releasing appealing material that has crossed generations and color lines. Though some of the albums content contains sexual explicit lyrics. One would never know unless they’re able to read the blurry lines of lyrics from the albums sleeve without paying close attention. Which leaves you to believe that Blurred Lines is noting more than a euphemism for muted ears.